The Mormon interest in genealogy is closely linked to their doctrine of baptism for the dead and their belief that the family unit will continue to exist beyond mortal life. Mormons trace their family trees to find the names of ancestors who died without learning about the restored Mormon Gospel so that these relatives from past generations can be baptized by proxy in the temple. Once baptized, if the ancestor’s spirit has accepted the Gospel, they will be able to be together with the rest of their baptized Mormon family in the celestial kingdom. For the Saints, genealogy is a way to save more souls and strengthen the eternal family unit. For anyone who is not a Mormon, this concept is incredibly disrespectful. I have no interest in Mormon theology; when my vital records and family tree become known to the Mormons after I pass away, will a church leader convert me to his religion? But even if a Mormon individual performs some kind of ceremony after my death, does it even matter? My family will know my religious intentions — and if God exists, He knows I have no interest in Mormonism, so does it matter what someone in some church I’ve had no connection with does? Regardless, the Church of Jesus Christ of Latter-Day Saints, as they’re formally known, LDS for short, pretty much own the genealogy and family history industry. They have spent a lot of resources finding genealogical records from all over the world, compiling them into a massive library in Utah. The only way to efficiently and affordably index and digitze billions of records is to enlist the assistance of volunteers, and that’s exactly what the Mormon Church has done. Making these records available to everyone via the Church’s Family History Library and the FamilySerach.org website has greatly benefited the world of genealogy. Much historical information pertaining to individuals would be lost if they hadn’t been preserved by the Mormons. 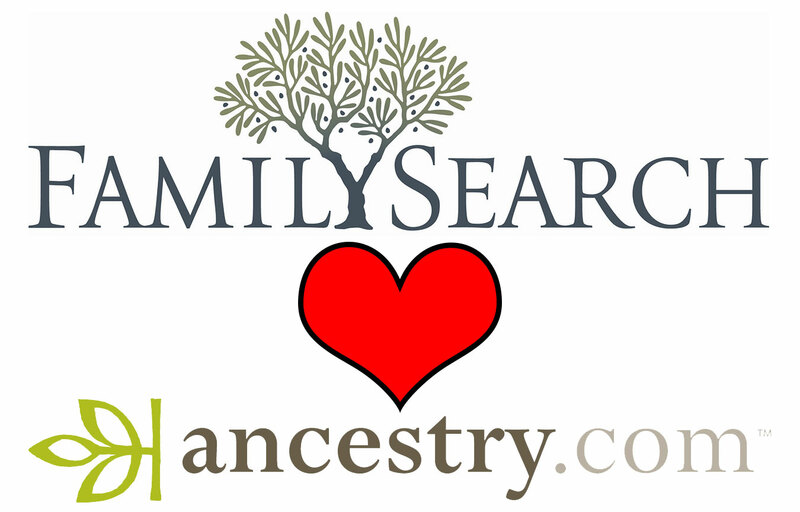 Ancestry.com has announced the company will be forming a partnership with FamilySearch.org, bringing millions of records currently available only through the LDS to paying Ancestry.com subscribers. 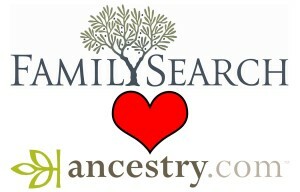 Currently those records are available for free to the public on the non-profit FamilySearch.org; soon, they will be available to Ancestry.com’s paying subscribers. Ancestry.com is not saying whether the records will remain freely available to the public via the LDS. In addition, Ancestry.com is investing $60 million in a project to improve the records held at the Family History Library. The improvements will come in the form of digitizing (scanning documents and photographing microfilm) and indexing items already owned by the Mormons. It’s safe to assume that these improved records will be accessible only through a paying membership to Ancestry.com. The one thing I don’t like about this news is that the volunteers who helped transcribe millions of documents obtained by the Family History Library were under the impression they were doing their work for a non-profit organization. Now their work will be owned by Ancestry.com, a company with roots in the Mormon Church but is now owned by a European private equity investment firm that has no interest in the organization other than a financial return on their investment. There’s nothing wrong with capitalism, but the value of these records is based on the work of volunteers who were not aware that their work would used for profit. Many volunteers would not have given hours of their life had they thought the information provided would be the direct source of profit for a massive company rather than be offered as a benefit to the world. In 2011, the last year Ancestry.com filed public financial statements, the company generated revenue of $400 million; this is not a company in need of volunteer recruitment. It’s also wroth pointing out that Ancestry.com is already having difficulty with its infrastructure. The site’s technology can’t seem to withstand the volume of records and traffic it currently tries to support, with frequent site outages encouraging frustrated users to demand refunds or cancel subscriptions. It’s unclear whether Ancestry.com is prioritizing the infrastrucutre necessary to support the addition of millions of records from FamilySearch.org over the next few years. The end result of this partnership will be a great benefit to the world of genealogy, but it’s unclear right now how much of that benefit will be reserved for paying Ancestry.com subscribers, how much information will be lost for those who don’t wish to or can’t pay the annual fees, and how volunteers will feel about continuing to dedicate their time producing information of value that only benefits paying customers, a small portion of the population of family history enthusiasts. Good article Harlan! Very newsworthy as well. By the way you get a choice when you are baptized for the dead if you want to join the Church or not. God respects your agency. Do the dead have a choice?? How do the dead choose? Give me a break Nathaniel R. Robinson. Grrrr. The dead can choose because they actually are alive. death is not the end it is just the transition from this life to the next, like birth was the transition from the last life to this one. Well I’m glad to know that none of my deceased relatives would ‘choose’ to be baptized. How do I know this? Same way ‘they’ do. You have no idea how insulting and hurtful this is. Compassion for the living should be something you can pray to become aware of. And how do you know they would not choose to be baptized? I will not continue to address your insane and silly reasoning. All the best to you sir. Anna, my great grandmother, finally found.